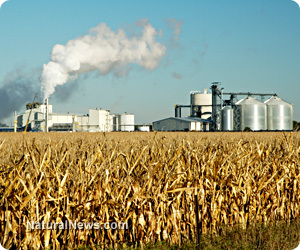 (NaturalNews) The era of large-scale monoculture, with all of its toxic pesticides and untested genetically modified organisms (GMOs), could finally be coming to an end. Researchers from the University of Nebraska-Lincoln (UNL) discovered recently that yield expansion rates for most major industrial food crops are plateauing or even declining in many areas of the world, a fact that further supports the case for a return to small-scale, diversified agriculture grown organically. Published in a recent issue of the journal Nature Communications, these and other findings, including updated projections on future crop yields, help obliterate the myth that modern, industrial methods of food production (e.g., transgenic modification, pesticide use and single-crop cultivation) have led to dramatic advancements in agriculture, when it has actually accomplished quite the opposite. According to the data, as much as 31 percent of the global supply of rice, wheat and corn has reached a yield plateau. This means that, no matter how much further crop scientists try to tinker with our food plants, the resulting yield will not be any higher than it was prior. Further, a considerable percentage of these same crops are actually producing higher yields at a decreasing rate, which suggests that the system is ultimately failing. The paper from which Ahmed derives this conclusion also reveals that production levels for many crops have already flattened and have no potential of ever again reaching their previous high growth rates. The reason for this, experts claim, is that crops eventually reach a biophysical yield ceiling, meaning there is only so much of a certain crop that can feasibly be grown in a given patch of soil. Some are now trying to claim that this ceiling was only reached in the first place as a result of so-called “green revolution” technologies like GMOs, but this simply is not the case. These technologies were already doomed from the start, because as the study itself admits, they were “one-time innovations” that, based on the science, have actually resulted in yield decreases throughout the past several decades. “A concern is that despite the increase in investment in agricultural R&D and education during this period [from 1981 to 2000], the relative rate of yield gain for the major food crops has decreased over time together with evidence of upper yield plateaus in some of the most productive domains,” reads the study. So much for all those “studies” that boast of great boons in food production as a result of things like GMOs and pesticides. Not only is this assessment fundamentally flawed — pesticides and synthetic fertilizers were identified in the study as contributing factors to decreasing rates of yield increase — but it is the very basis of many fundamentally flawed yield projections, which are grossly overestimated. “The study criticizes most other yield projection models which predict compound or exponential production increases over coming years and decades, even though these ‘do not occur in the real world,'” adds Ahmed. Organic farming methods, on the other hand, hold the most potential for increasing yields, at least according to the United Nations. “A landmark report by the UN Special Rapporteur on the Right to Food demonstrated that agroecology based on sustainable, small-scale, organic methods could potentially double food production in entire regions facing persistent hunger, over five to 10 years,” concludes Ahmed in his report for The Guardian.